Alice: Madness Returns - Toys in store! 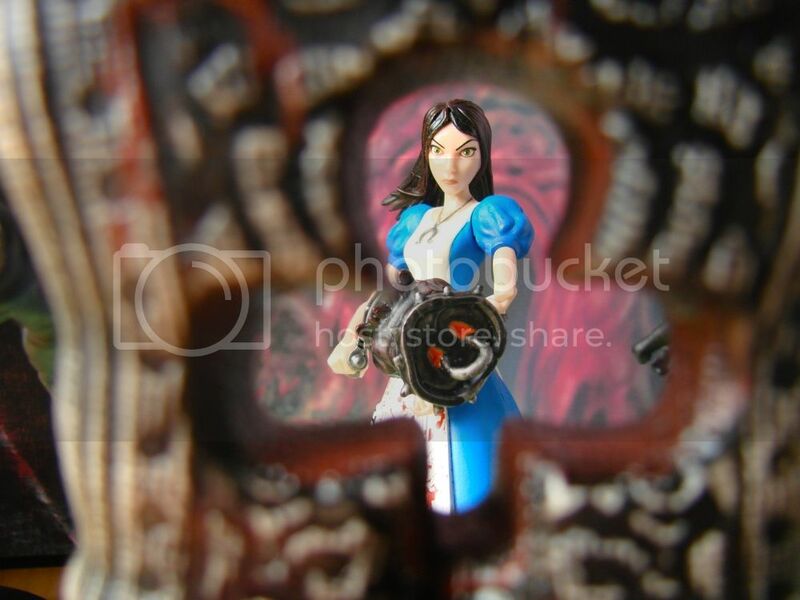 Alice: Madness Returns is now a line of Diamond Select Toys action figures! The first assortment of 7-inch scale figures features the Cheshire Cat, a zombie Card Guard and Alice Liddell herself, complete with Vorpal blade, hobby horse and pepper grinder. And if you're lucky, your local shop also ordered in the Previews-exclusive Hysteria Alice, featuring Alice in her unstoppable Hysteria Mode from the game. Visit www.comicshoplocator.com to find the nearest comic shop! This is the official DA account for Spicy Horse Games, the independent video game studio founded by American McGee. If you're fans of Alice, Grimm, BigHead BASH, or any of our other titles, you're going to love this page! do you have any idea where i can find a hobby horse tee shirt, lile the ine fro malice madness returns? Wow, how beautiful the picture, I can send to the Chinese website? Have a happy "birthday" Spicy Horse! I hope you have a lot of great games on the way! Akaneiro is looking fabulous!